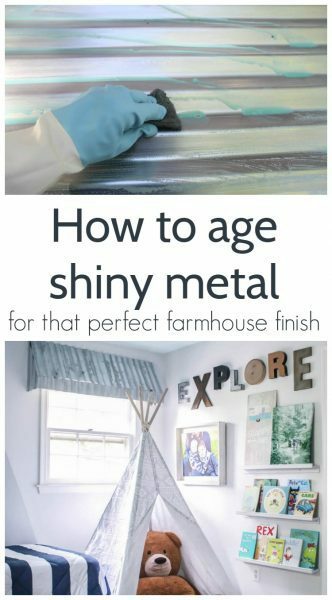 How to age galvanized metal: from shiny new to vintage perfection - Lovely Etc. Did you know you can turn bright, shiny new metal into perfectly aged vintage metal that looks like has been around a few decades? It’s actually pretty easy to do as long as you know all the tricks. 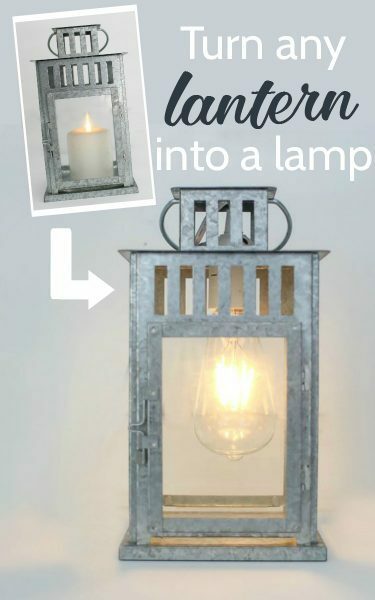 And if you love rustic, farmhouse style, or industrial décor, once you know how to age galvanized metal roofing, you can make so many cool DIY décor pieces. 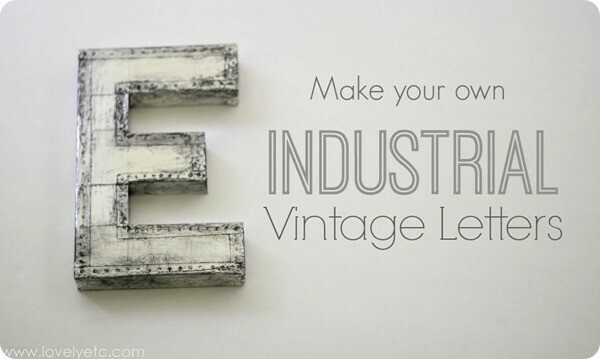 From vintage metal signs, to rustic magnet boards, to unique wall treatments, you can do all kinds of things. 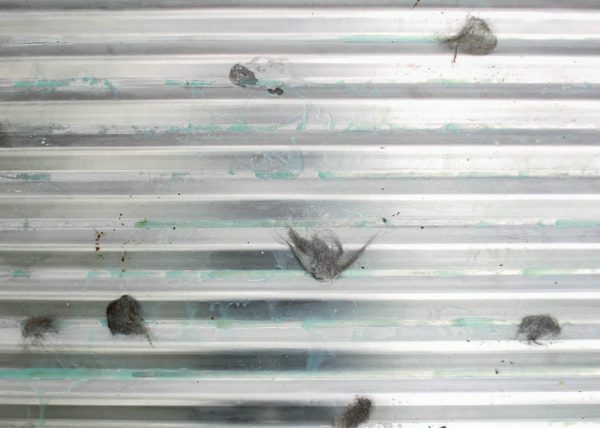 I did quite a bit of research online before starting this process and found that most people recommend using toilet cleaner to age metal roofing, specifically Clorox clinging bleach gel toilet bowl cleaner. 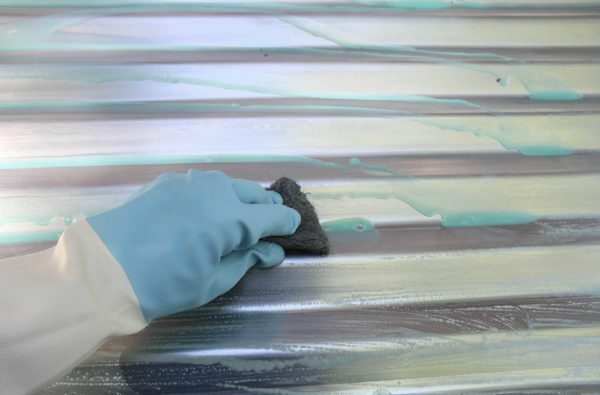 There are other ways to age metal roofing, but they mostly involve harsher chemicals and acids, so I decided toilet cleaner was definitely the way to go. Unfortunately, the tutorials I found for aging metal didn’t work for me at first. I’m guessing that the climate where you are and the temperature outside makes a huge difference. It seems like sun and heat play a big roll in helping the toilet cleaner do it’s job, and sadly, we have had a very soggy, mild spring here. But after a few tries and some minor tweaks to the process, I was able to make it work and my metal roofing ended up beautifully aged! This is the process that worked for me. Some links in this post are affiliate links. See my full disclosure here. First, be sure to wear gloves. Even though we are just talking about toilet bowl cleaner, this is a chemical process at work so it isn’t something you want to play around with. Once you’re all gloved up, take the steel wool and lightly sand the entire piece of metal. 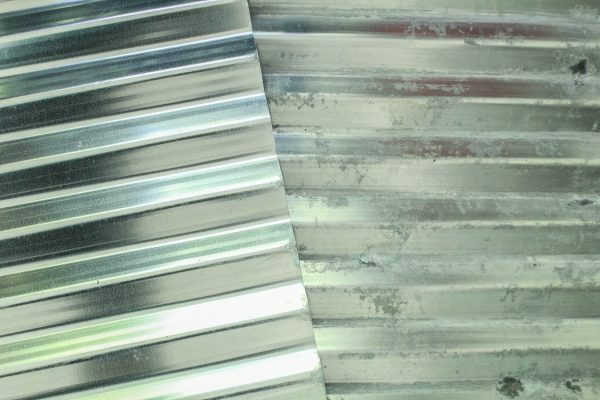 in general, most people use corrugated metal as actual roofing so they want it to be weather resistant. To help with this, there is a protective coating on the metal to prevent aging. 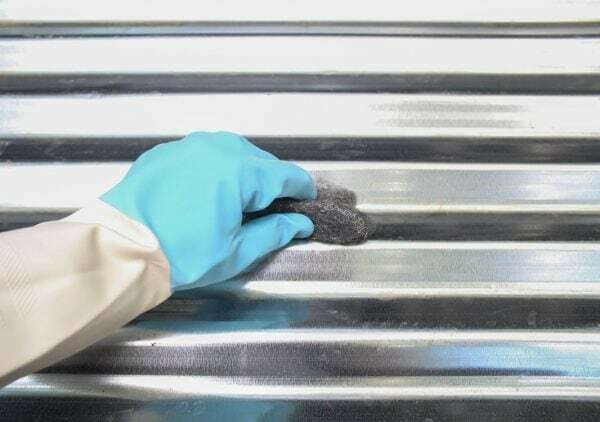 Since we are trying to do the opposite and speed up the aging process, we want to weaken the protective coating as much as possible. This is what the steel wool is good for. Don’t worry about being too thorough at this point. Just a few minutes lightly sanding everything will be fine. Then take your steel wool again and use it to help rub the toilet cleaner everywhere. It will naturally settle into all of the grooves, but make sure to rub it into all of the ridges as well. I accidentally discovered that you can add more age and wear by tearing off small bits of damp steel wool and leaving them to dry on the metal. You don’t have to do this, but it really made a big difference in how weathered my metal looked. I let my metal sit for 24 hours covered in toilet cleaner and steel wool. If you have a hot, sunny day, you may not need to wait as long. When it seems ready, just use a wet towel or rag to wipe away all of the cleaner and steel wool. You should be left with beautifully aged metal! But if for some reason your metal still looks too new for you liking, just repeat the process. Here is a side by side comparison of the brand new metal and the aged metal. The aging process helped take the shine off of the entire surface as well as etching into the metal to give a nice patina. And here’s a little peak at my window awnings. See those really dark spots? Those are what happens when you leave the bits of steel wool on the metal. They definitely add a lot in my opinion. 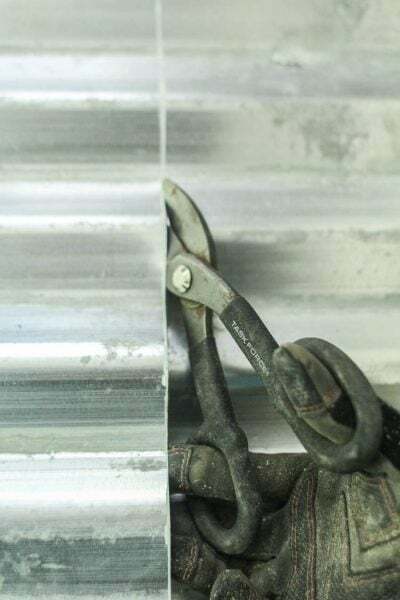 Once your metal is perfectly aged, odds are that no matter what project you are working on, you are going to need to cut those big sheets of metal. I used to be super intimated by the thought of cutting metal, but it is actually really simple. 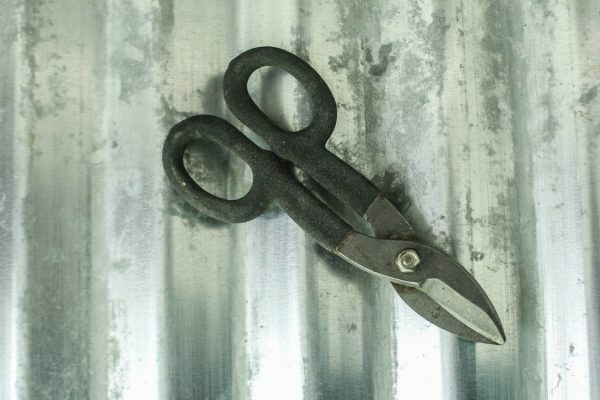 All you need is a pair of tin snips which are basically just strong scissors. And that’s it! 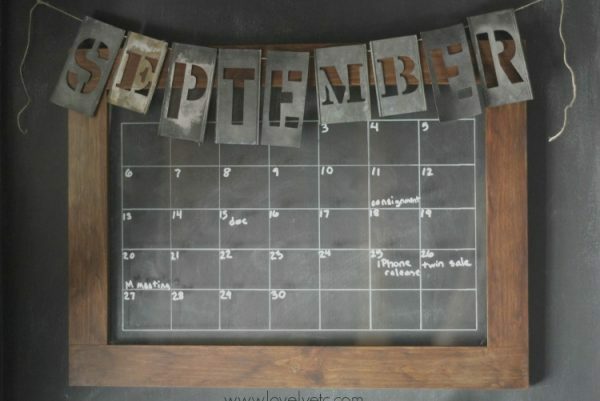 You have perfectly aged corrugated metal ready to be used for whatever awesome projects you dream up! 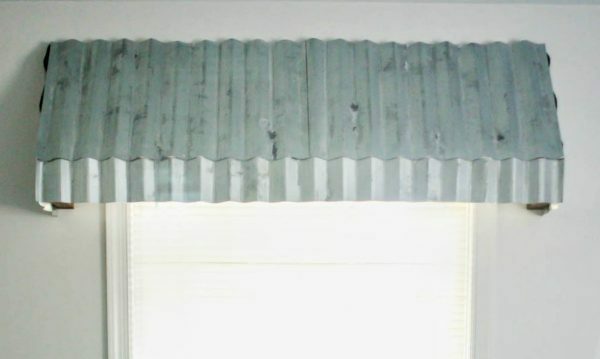 I am absolutely in love with my rustic window awnings, so I can’t wait to use some of my leftover aged metal roofing for more farmhouse style décor. And be on the lookout for the rest of my window awning tutorial in the next few days.